In countries within the European Union, large public projects must be put out to tender. Notices about these tenders are published electronically on all weekdays via Tenders Electronic Daily (TED) ted.europa.eu. A Danish magazine wanted me to make a system that could automatically download the daily tenders from TED, and then filter out and auto-publish the ones interesting to their readers, mainly professionals in building and construction. This was achieved using PHP to download, decompress and extract the often large daily file packages, which were then parsed and filtered on various criteria using XPath. 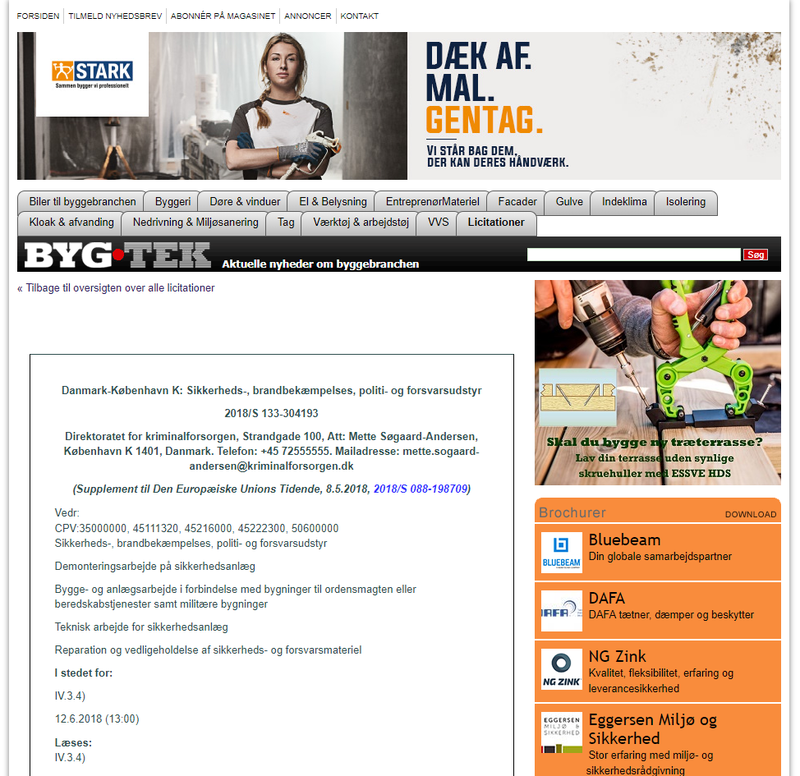 PHP’s SoapClient was then used to get details about the relevant tender notices in Danish, since the EU tenders are typically published in all of the 24 official EU languages. Finally, the daily relevant tenders were auto-published on the website and included in daily newsletters from the magazine. 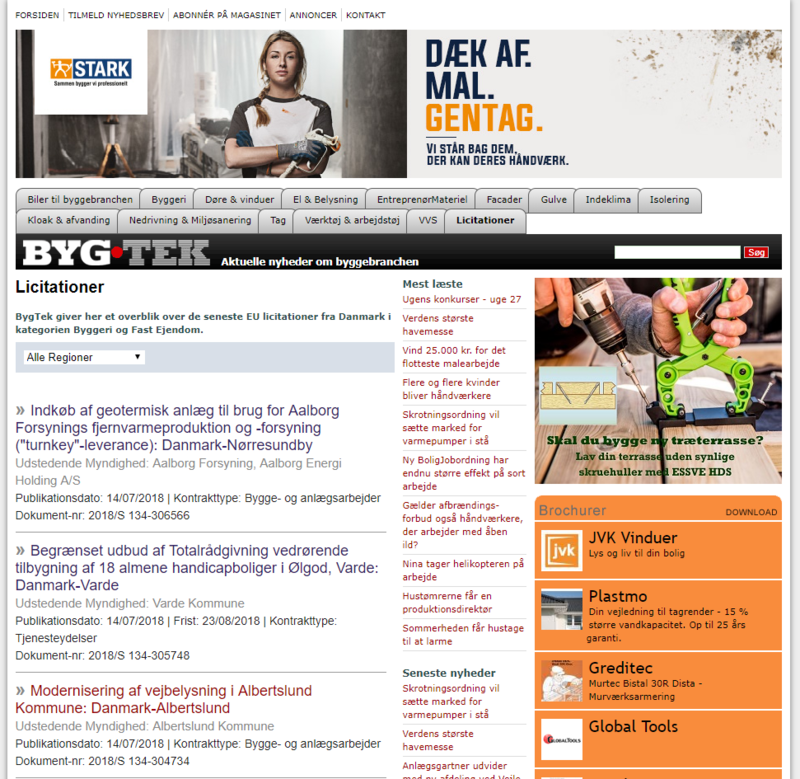 The tenders are published after cross-referencing their place of origin, so it’s easy for visitors to browse tenders within the regions of Denmark that are most relevant to them.